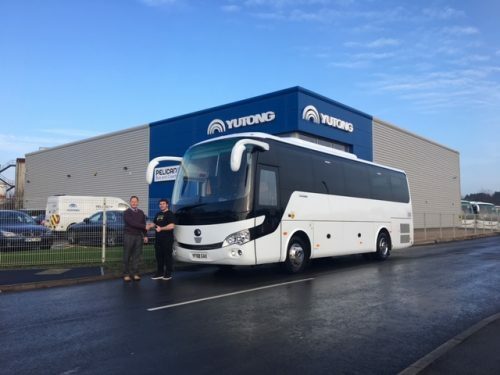 Cambridge Coaches, trading as Sunfun Holidays, took delivery of its third Yutong during the Christmas period. Power is provided by a Cummins ISB 6.7 litre engine, developing 320bhp and driven through a ZF 6AP1200B automatic gearbox. This is the third Yutong supplied by Pelican Bus and Coach to join the Cambridge Coaches fleet, having operated a TC9 and TC12 since 2015. CHINA China became the world’s largest ‘new energy’ bus market several years ago.